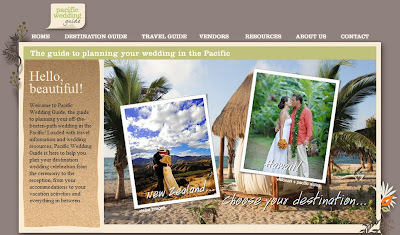 We are so happy to now be a part of the Pacific Wedding Guide, a guide to planning your wedding in the pacific. This wonderful website not only lists top notch wedding vendors, but oodles of wedding planning information. And if that does not satisfy you check out their daily updated blog. We're so glad you jumped aboard! Continue to keep us in the loop!